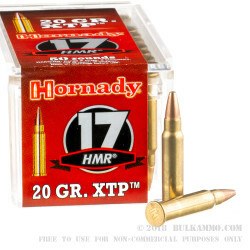 This rimfire varmint cartridge from Hornady is loaded with a 20 grain hollow point XTP bullet. 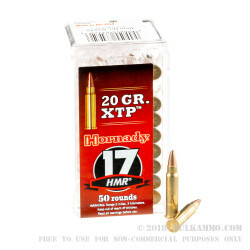 Coming from Hornady’s Varmint Express Rimfire product line, this load’s flat trajectory and aerodynamic design provide extreme accuracy. 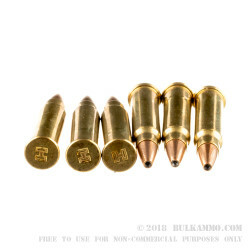 It is an ideal cartridge for small game hunting. 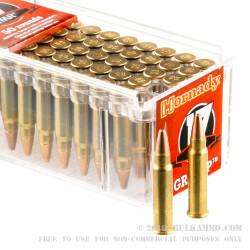 Headquartered in Grand Island, Nebraska, Hornady has a world-renowned reputation for quality manufacturing. If you’re ever in the Cornhusker state, stop by and check out one of their factory tours.